Complimentary Vitamin Enriched Face Base(1.5ml) & a Hydrating Eye Cream (1.5ml) on Bobbi Brown orders above Rs. 3000. Offer valid stocks last. What it is : An ultra soft and smooth pressed powder that delivers a shimmering, sun-kissed glow. Who it's for : Any woman who wants a bronzer with a hint of shimmer. Why it's different : Formulated with a perfect blend of sheer powders and micro pearls, this bronzer helps give skin a seamless, naturally radiant glow. Sheer mica powder and flat pearls reflect light and give skin beautiful luminosity without ever looking muddy or chalky. -An ultra soft and smooth pressed powder that delivers a shimmering, sun-kissed glow. Explore the entire range of Bronzer available on Nykaa. Shop more Bobbi Brown products here.You can browse through the complete world of Bobbi Brown Bronzer. 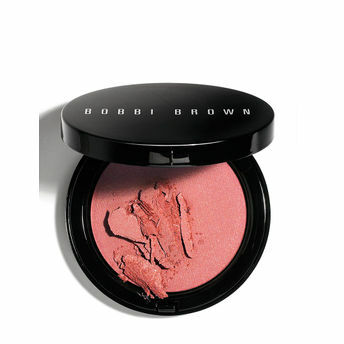 Alternatively, you can also find many more products from the Bobbi Brown Illuminating Bronzing Powder - Maui range. Explore the entire range of Bronzer available on Nykaa. Shop more Bobbi Brown products here.You can browse through the complete world of Bobbi Brown Bronzer .